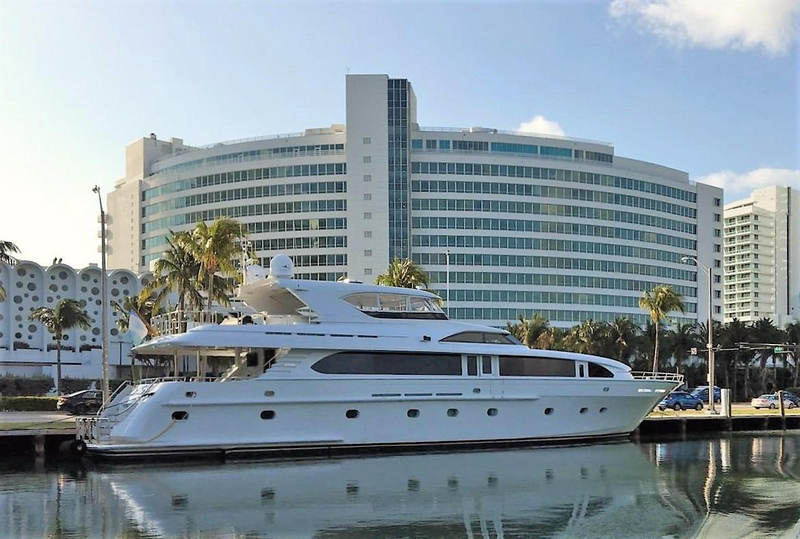 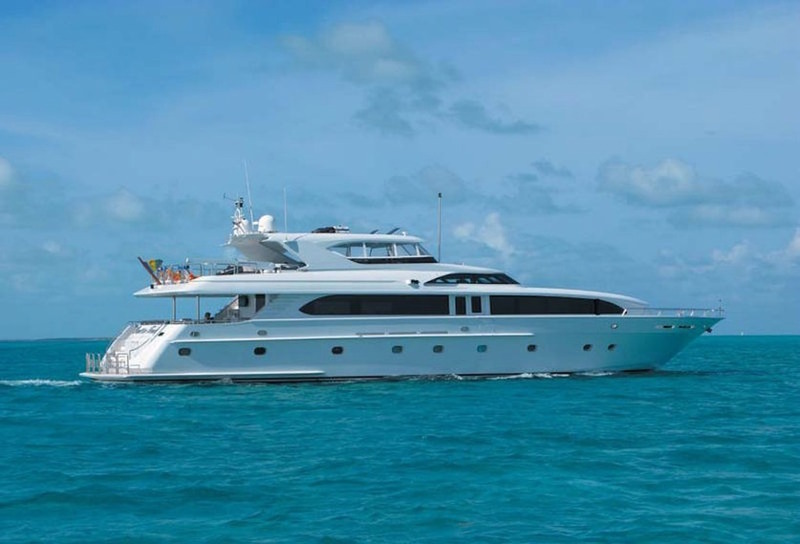 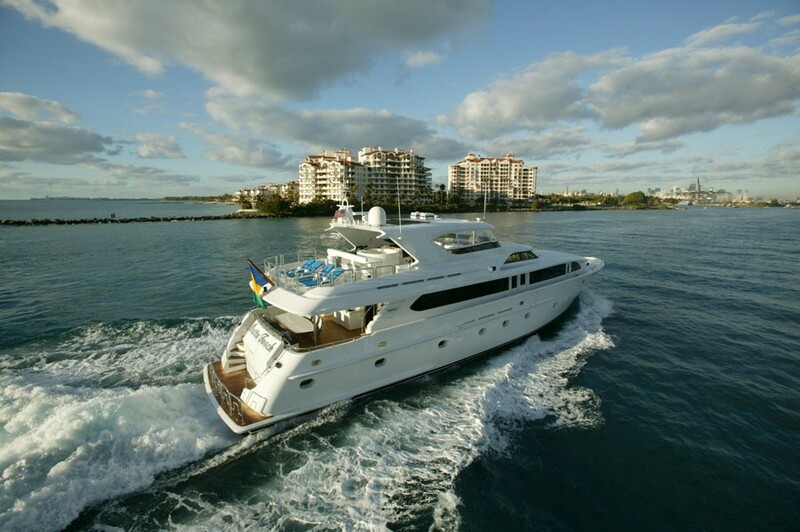 Motor yacht Outta Touch is a 32.00m (105’) built by Intermarine Savannah in 2000. 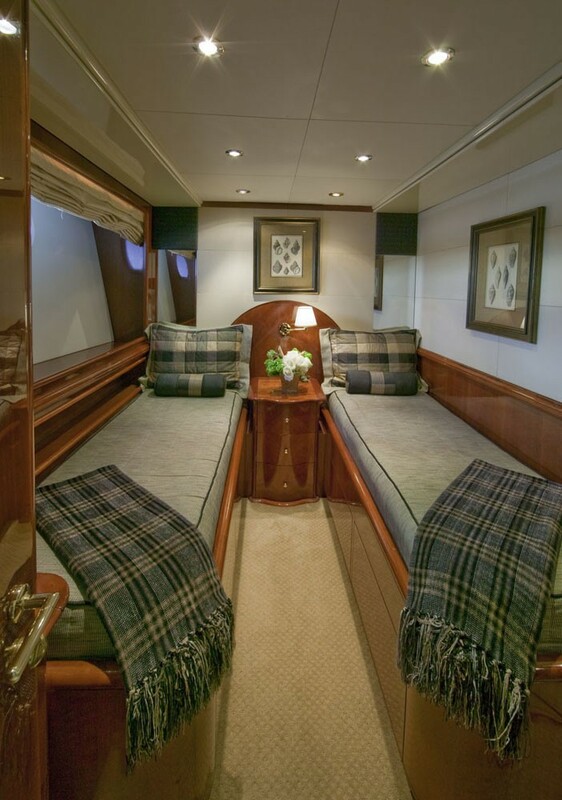 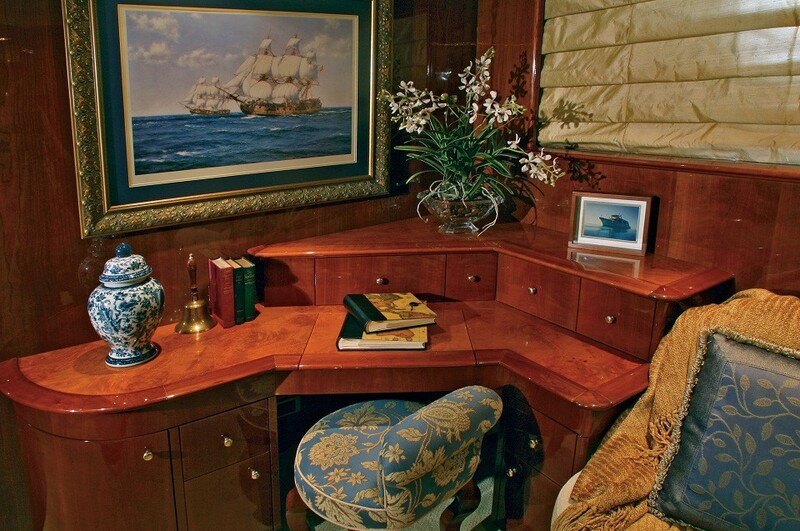 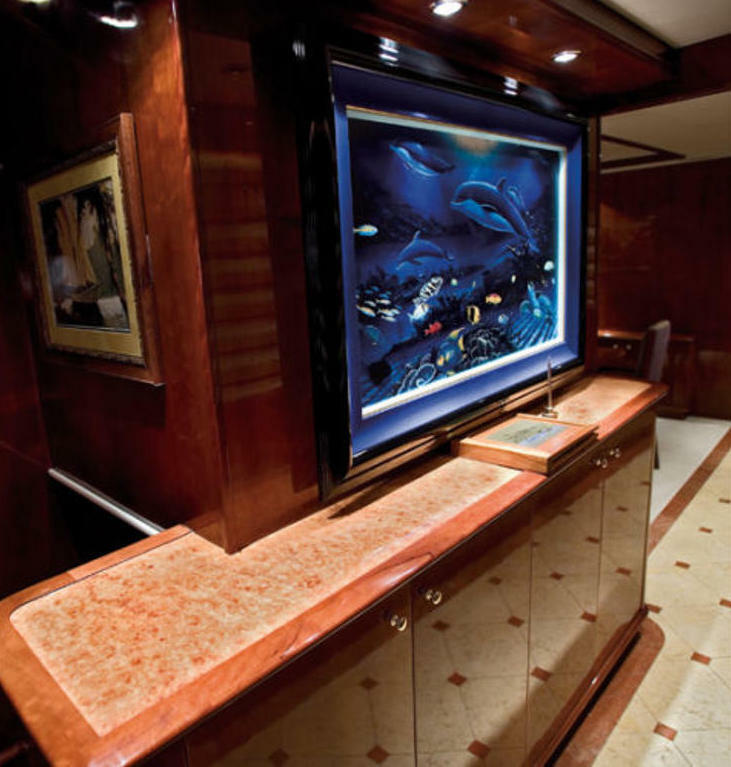 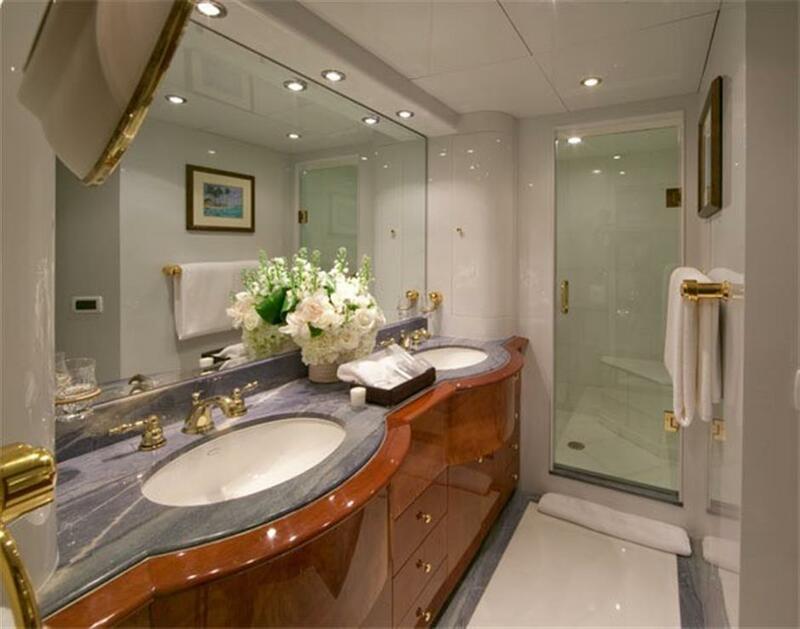 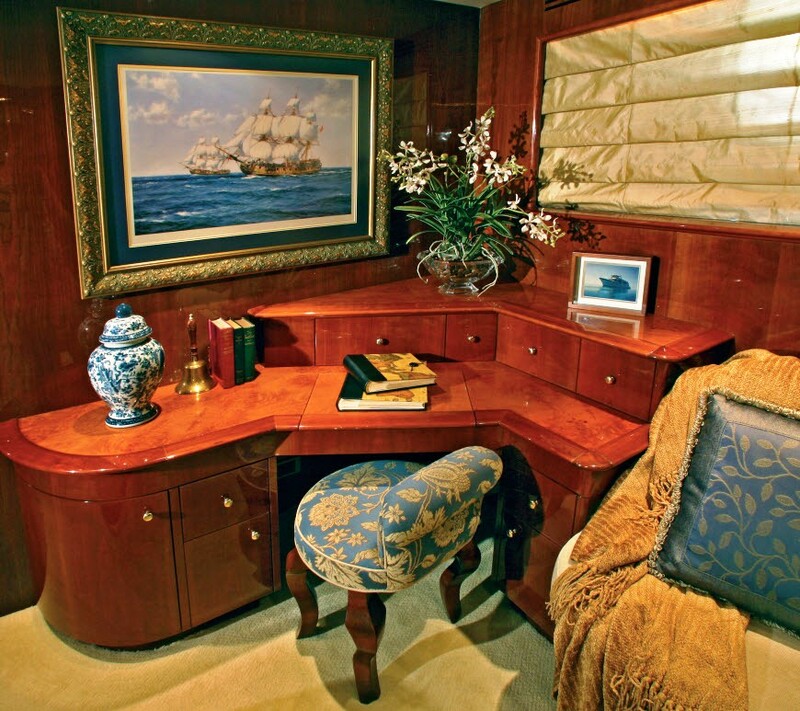 She features Naval architecture by Paragon Design with interior design by Sally J Ferguson. 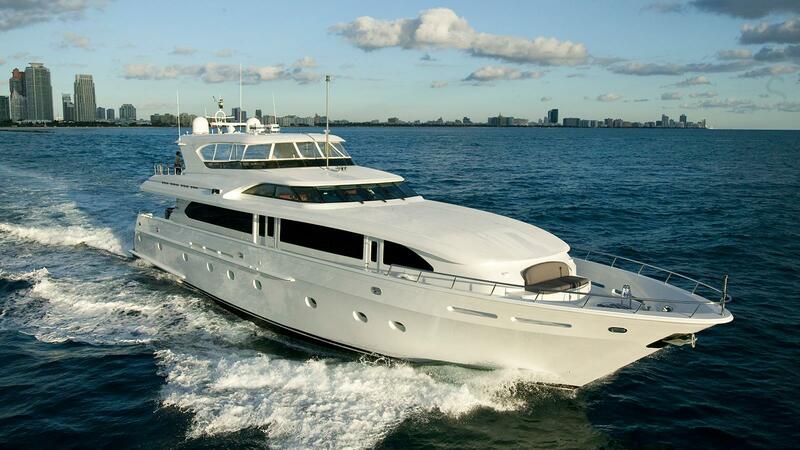 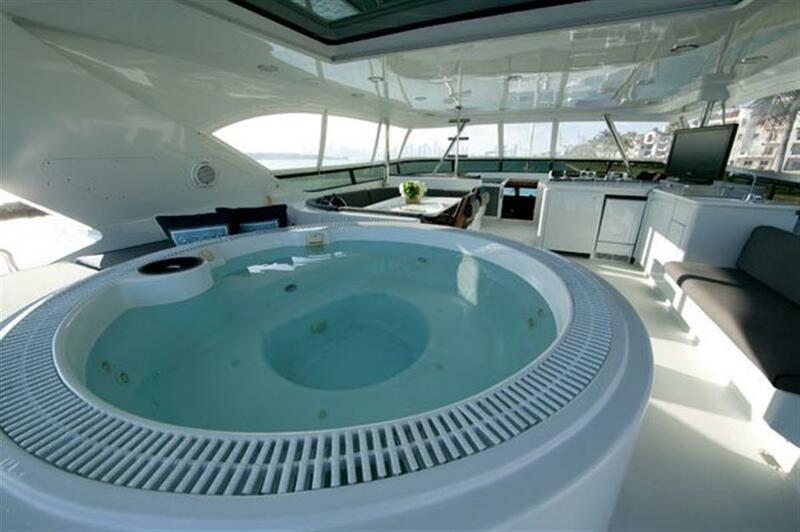 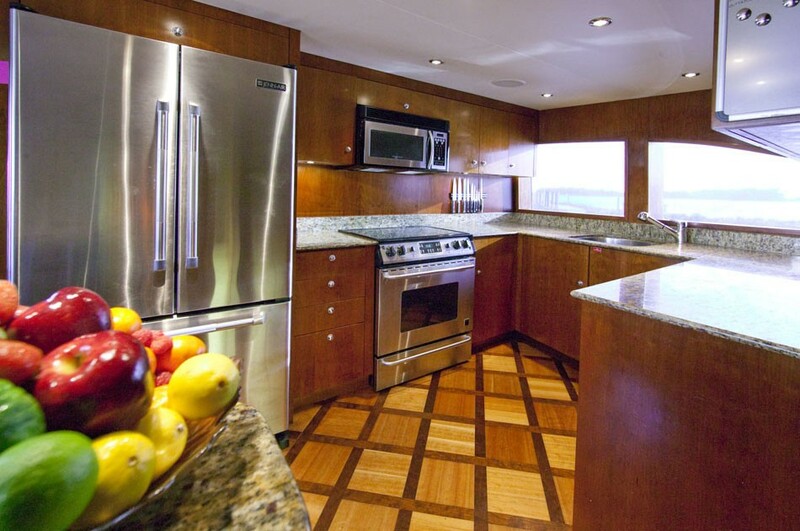 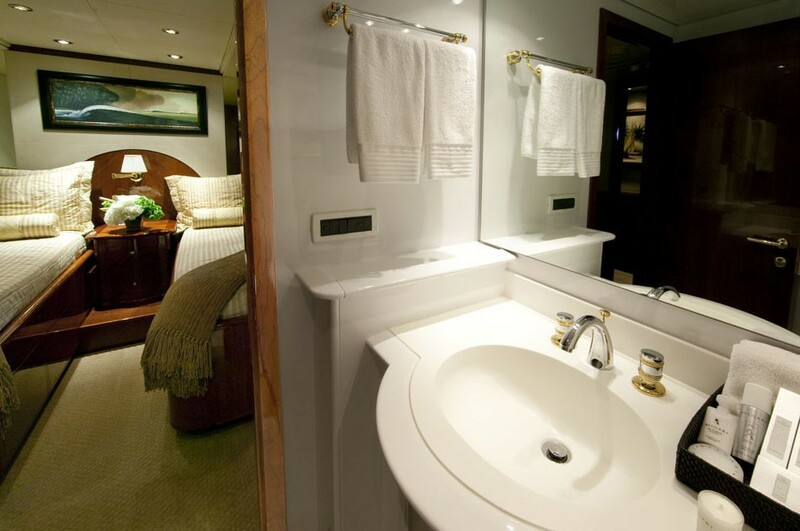 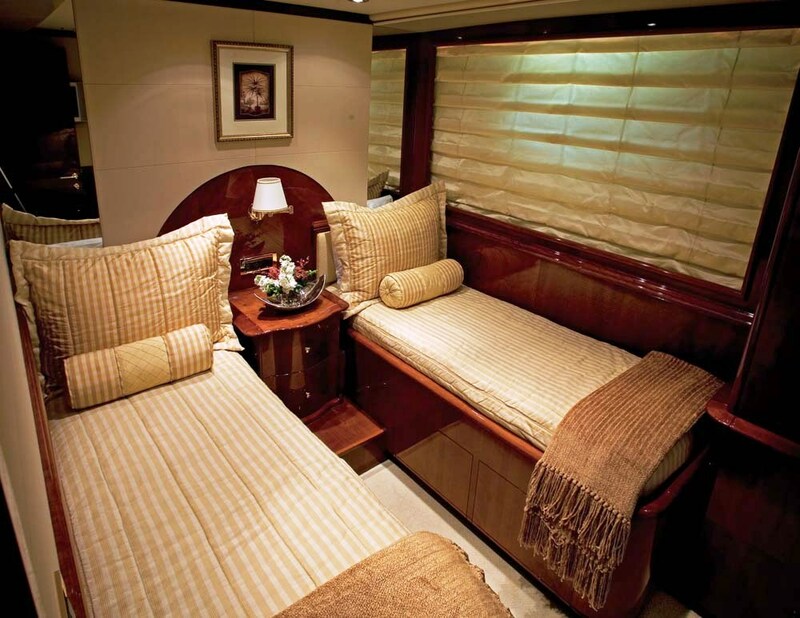 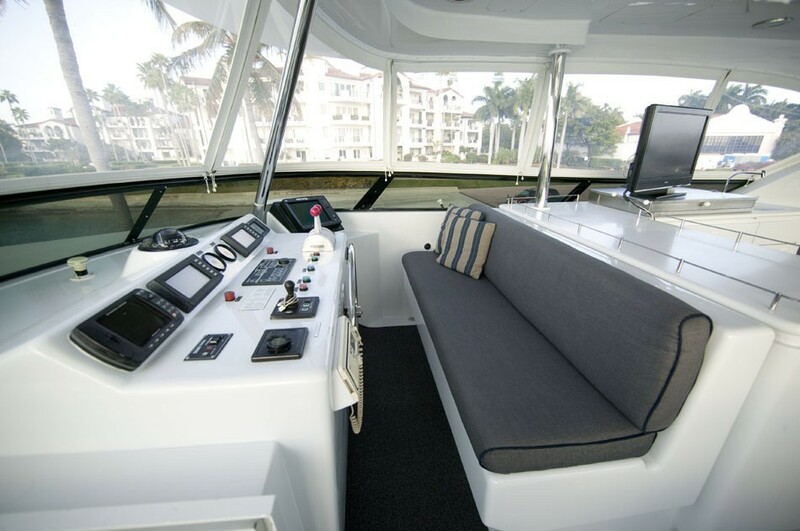 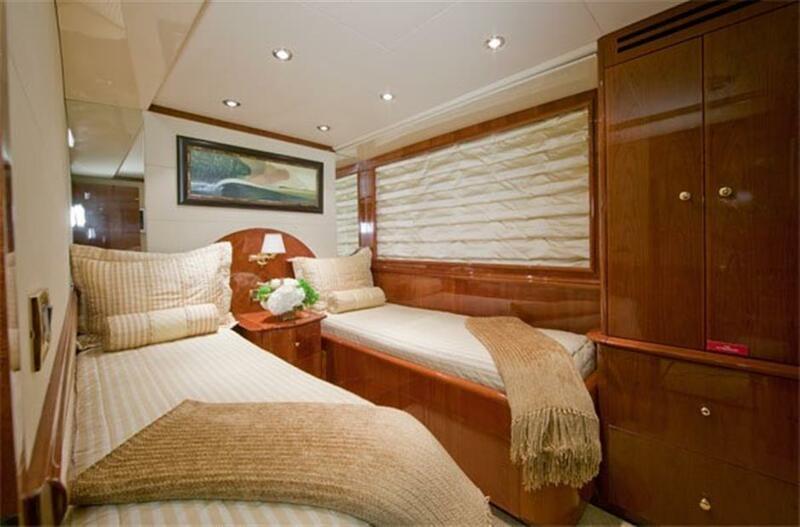 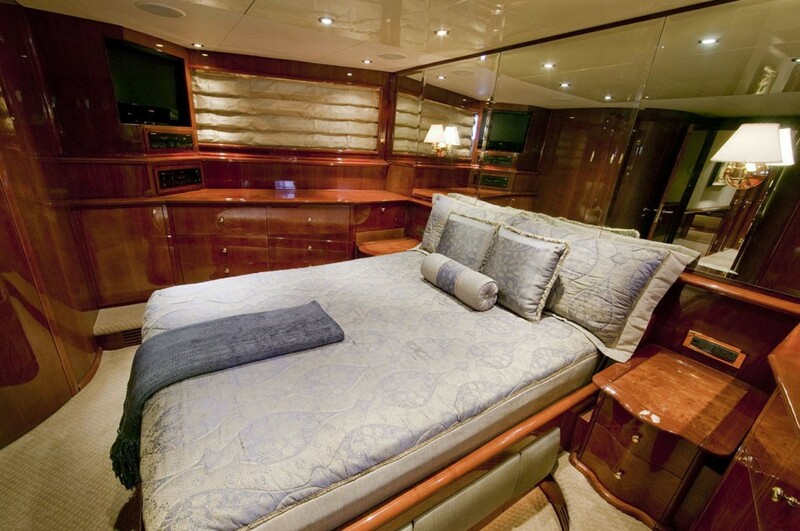 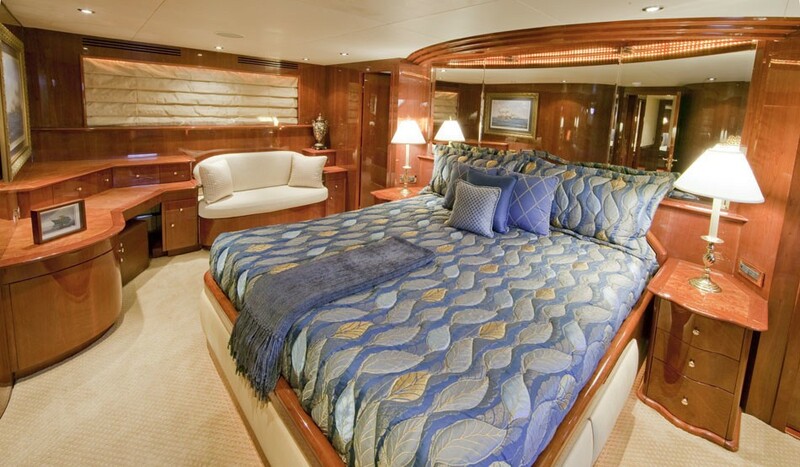 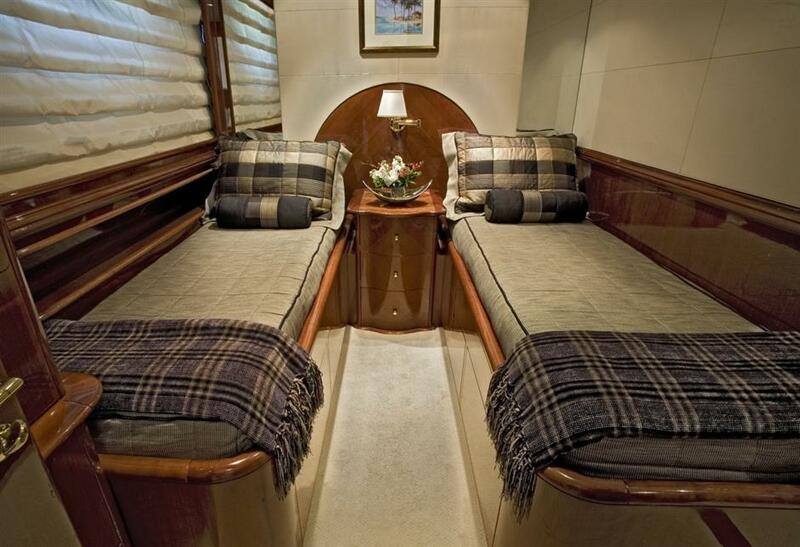 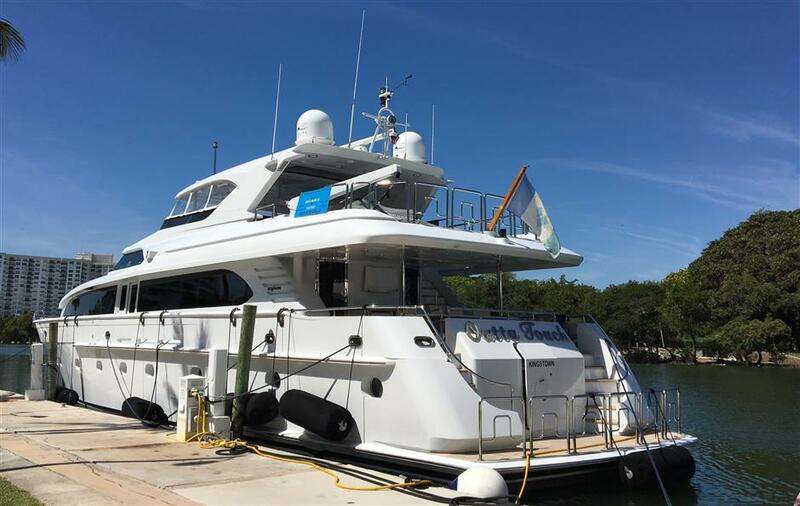 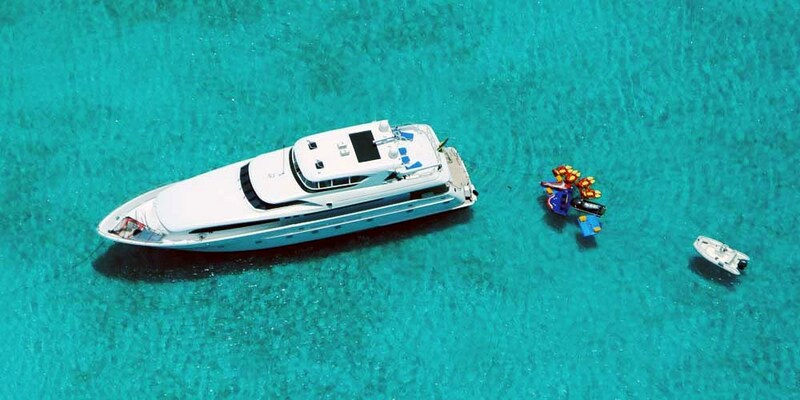 The luxury yacht Outta Touch can accommodate up to 8 guests overnight in 4 cabins. 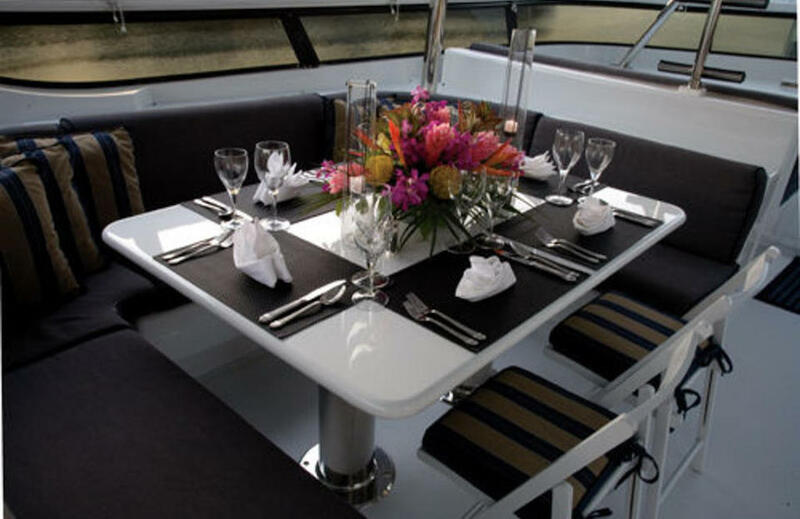 The interior styling is modern and provides lovely and inviting atmosphere. 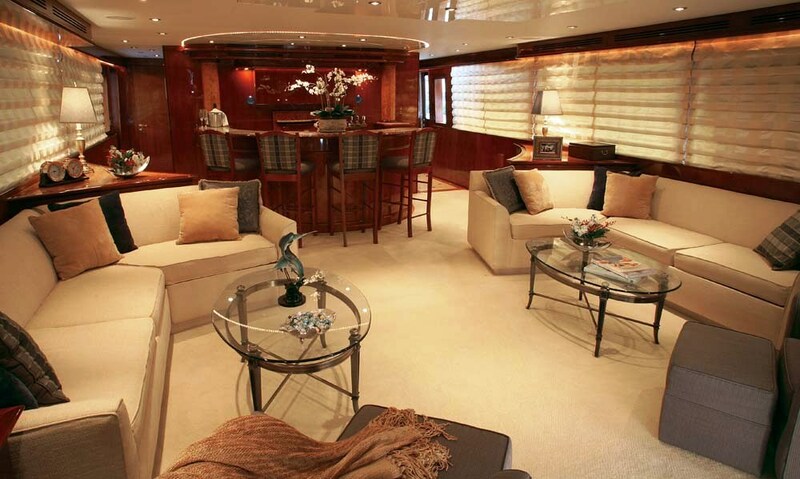 The main salon features a lounge area, bar with seating for four guests, armchairs and coffee table. 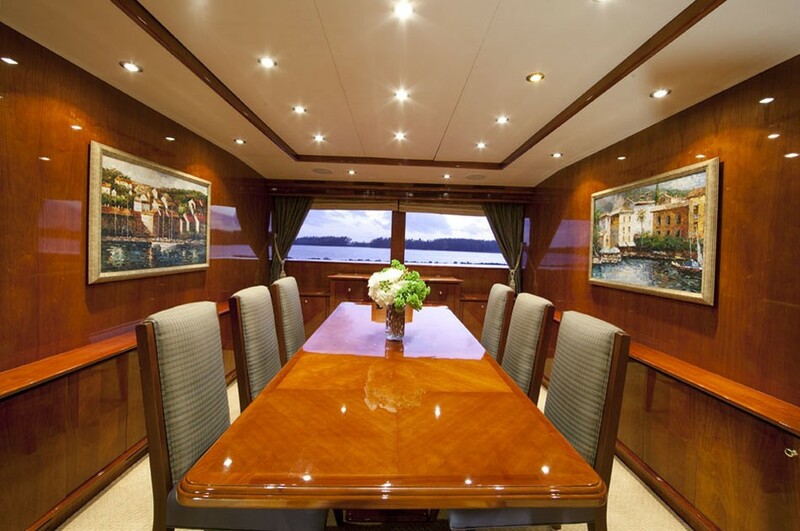 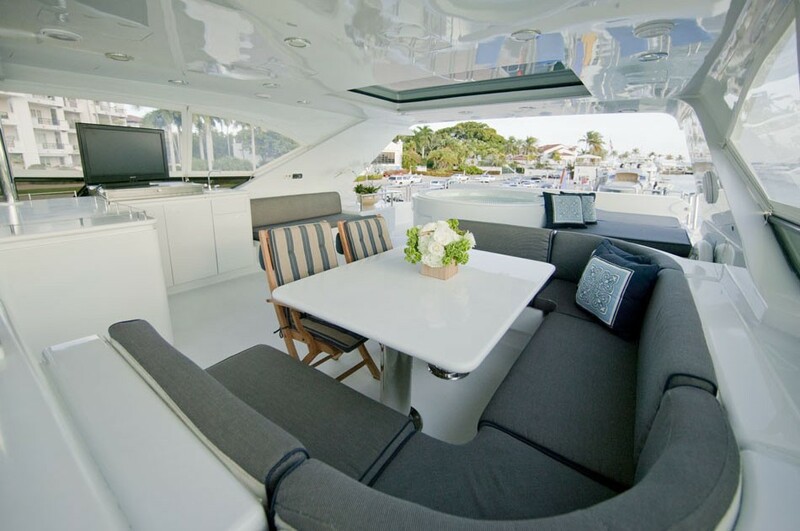 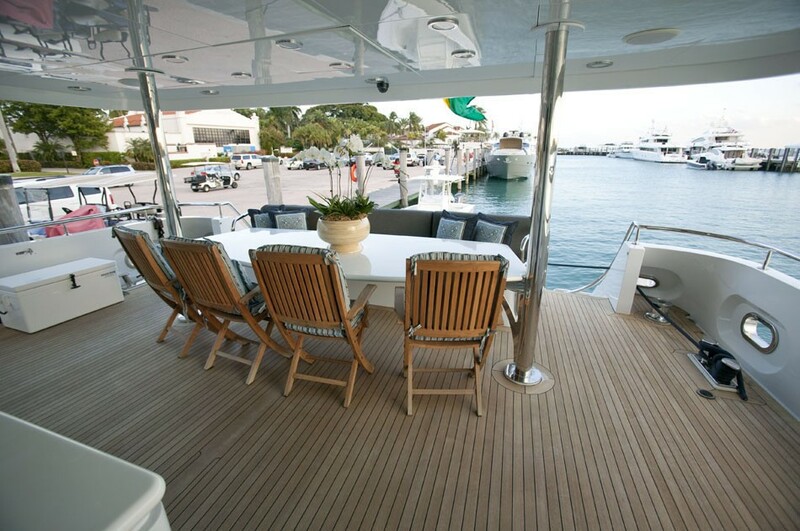 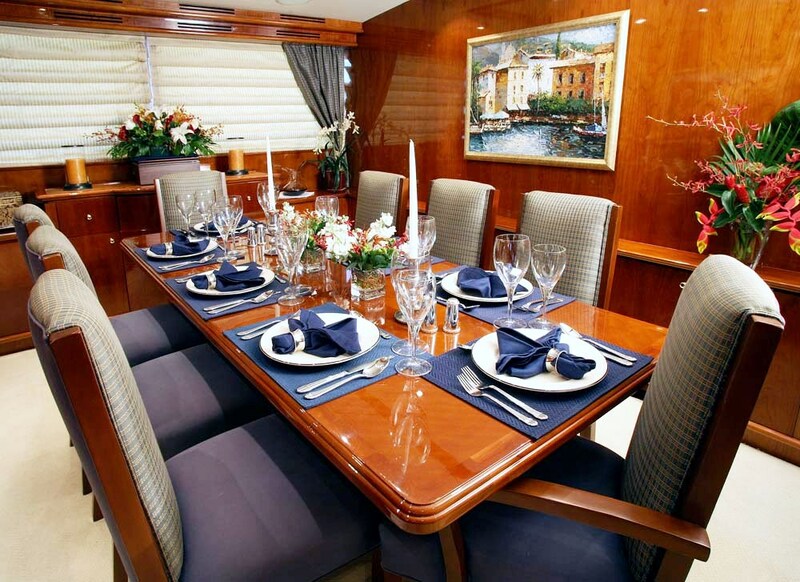 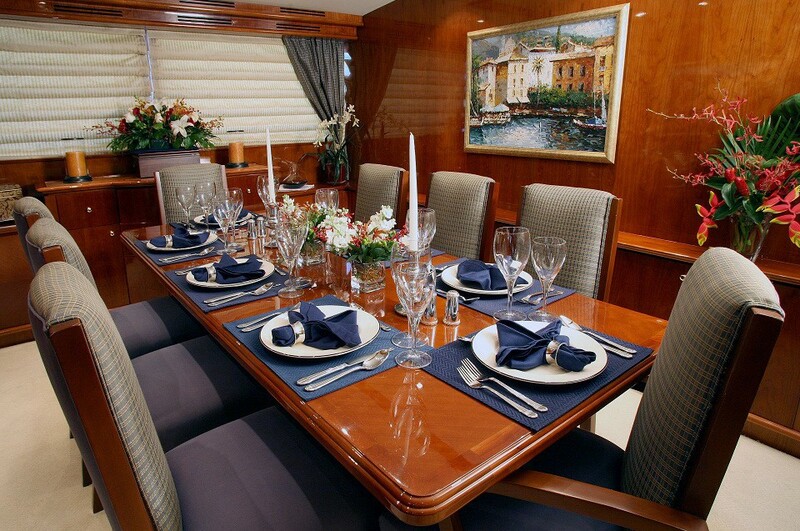 The dining area seats eight charter guests at the large table, while further forward there is a galley with a settee in front of the worktop. 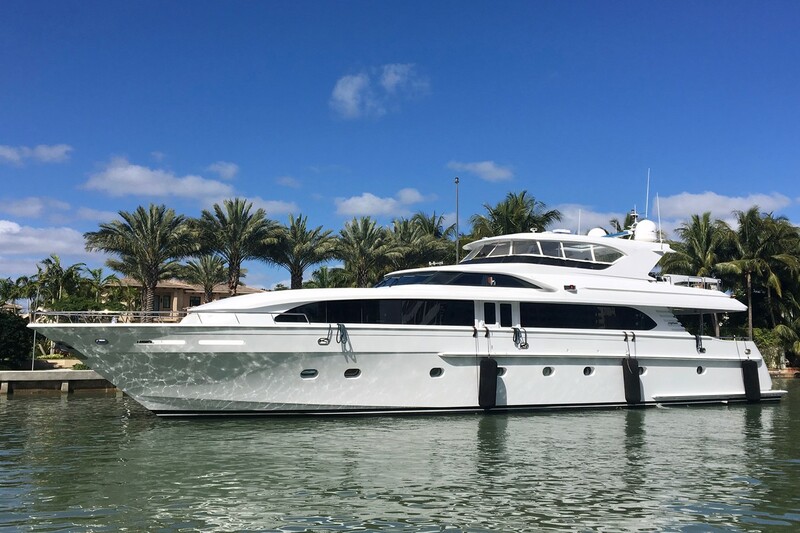 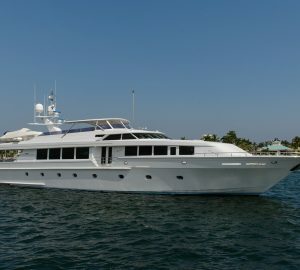 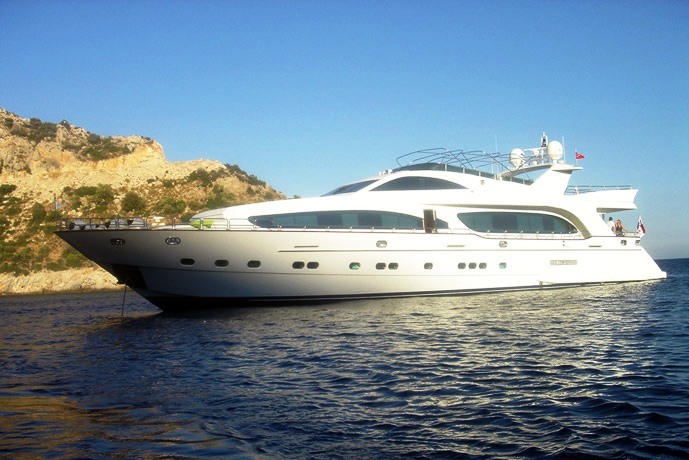 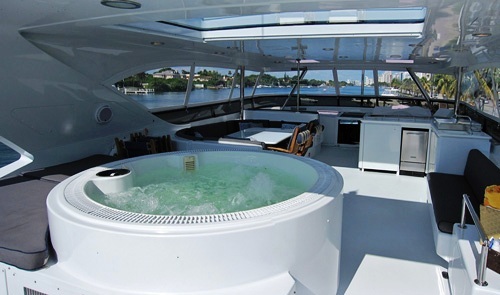 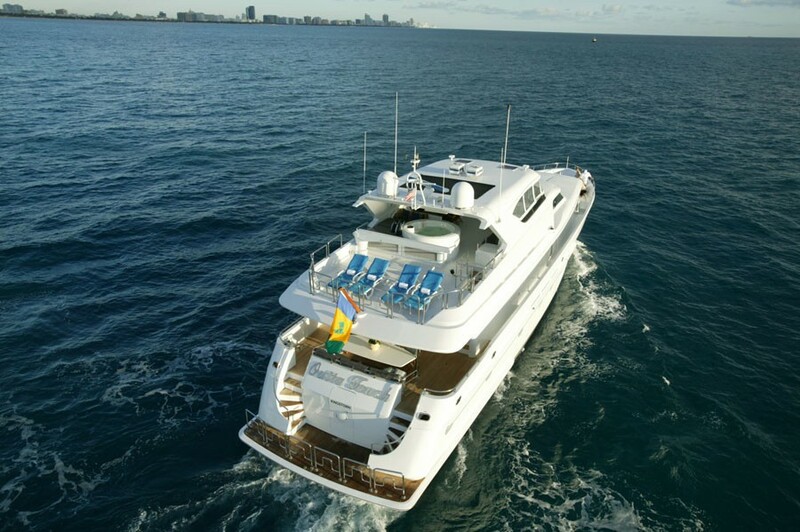 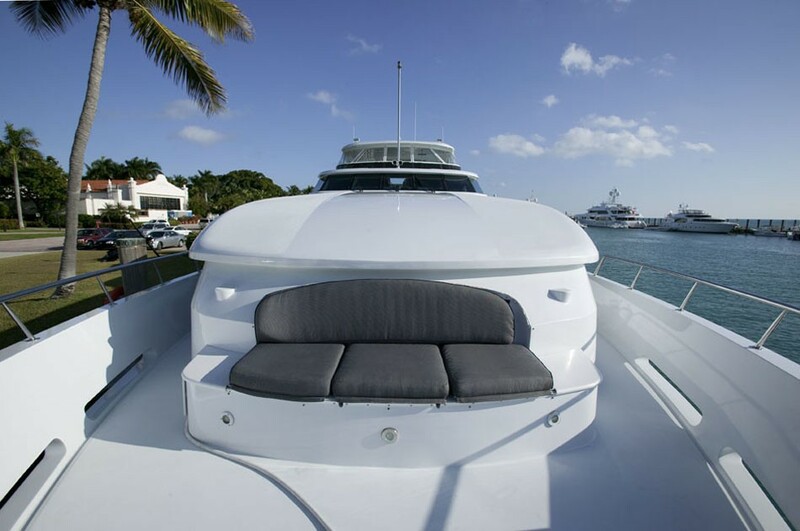 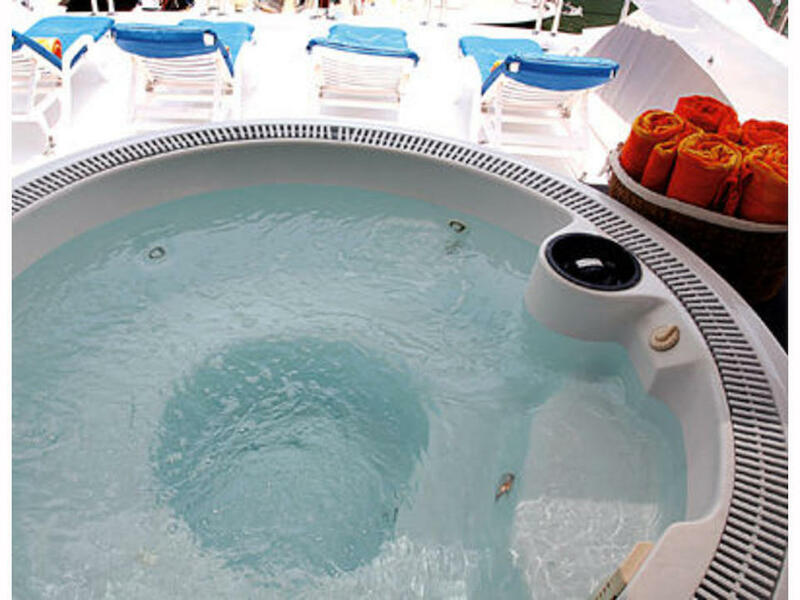 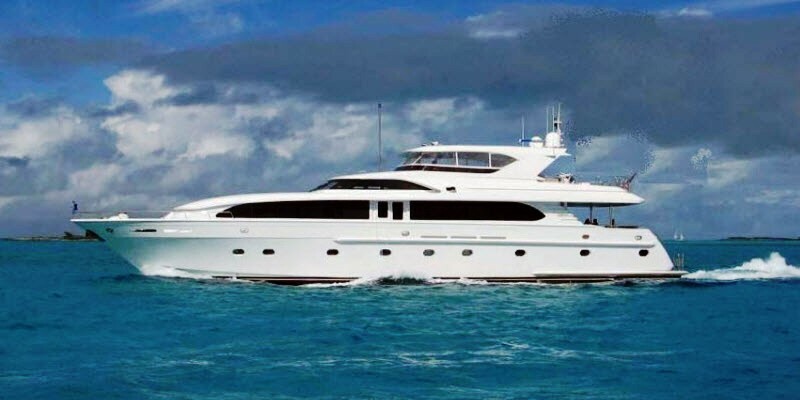 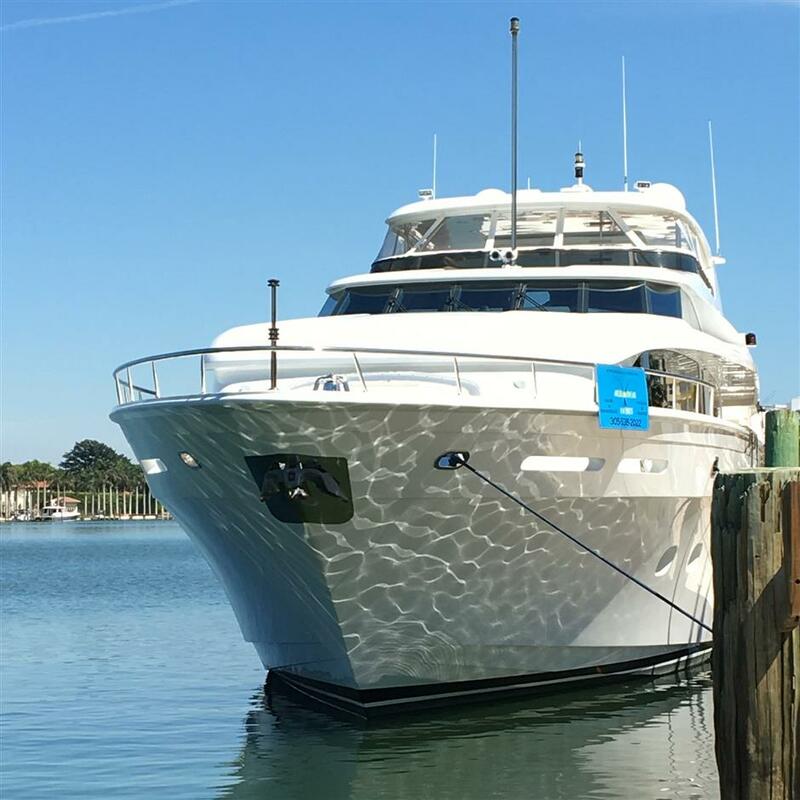 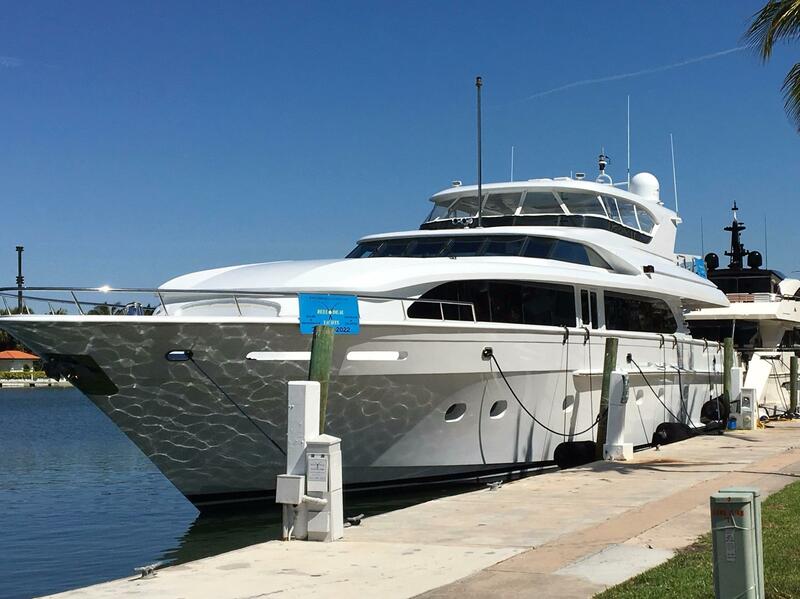 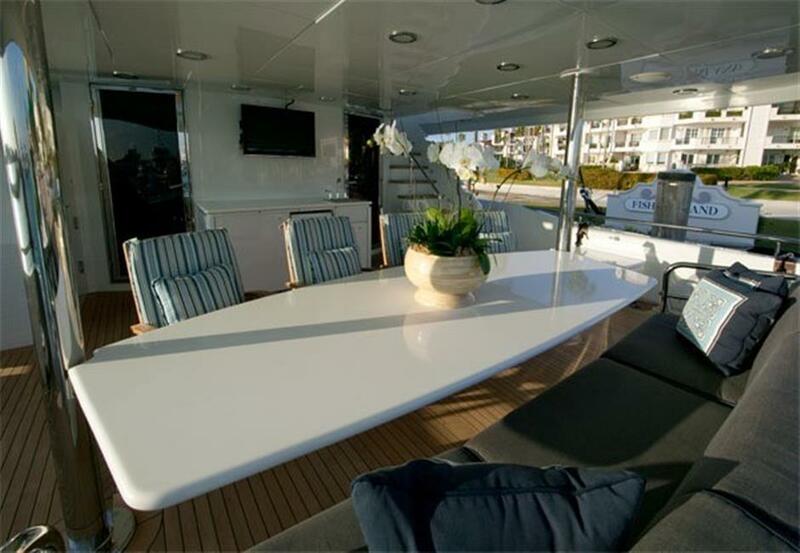 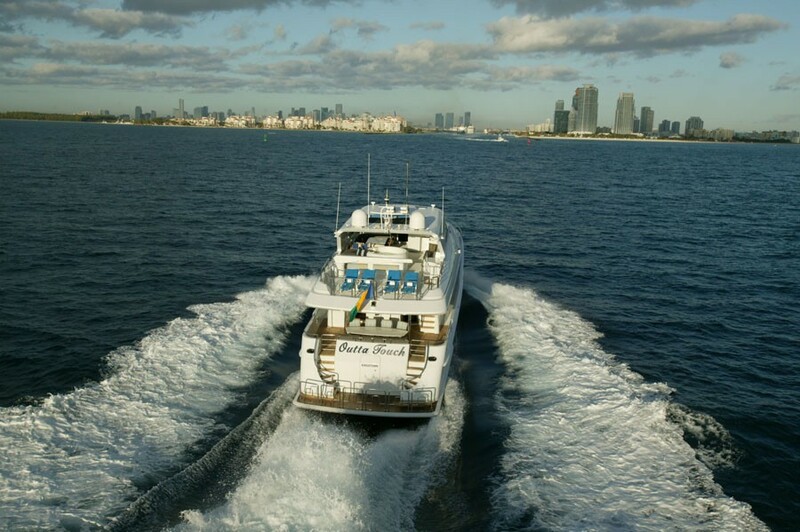 Luxury yacht Outta Touch can accommodate up to 8 guests over night and ten guests while cruising. 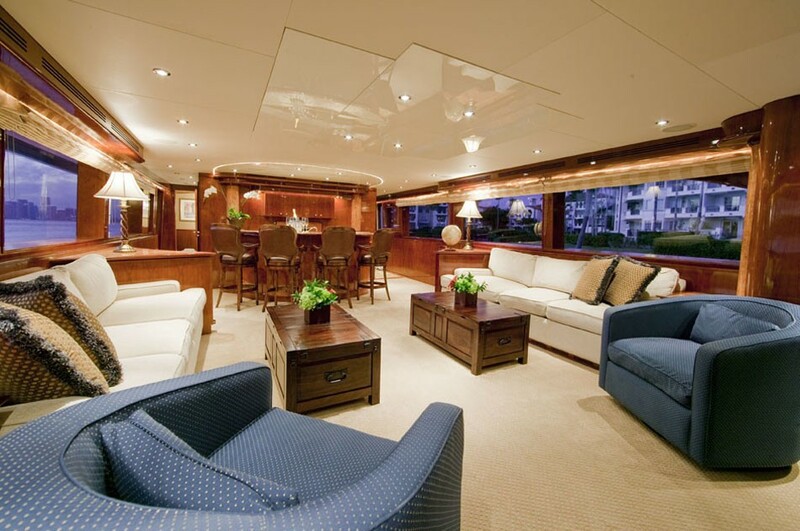 The outside areas are ample, and host great amenities for some extra fun and relaxation. 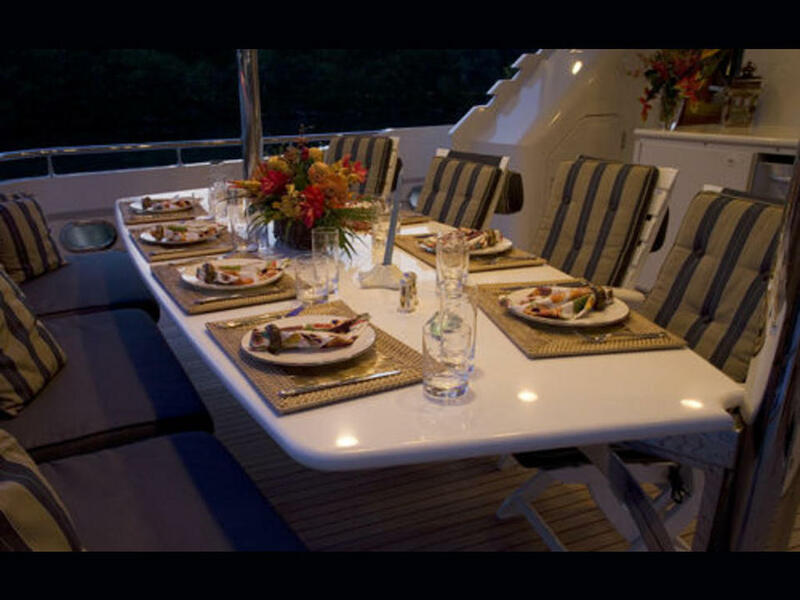 There is an alfresco dining area, bar, six-person Spa Pool, and a lovely seating for eight guests. 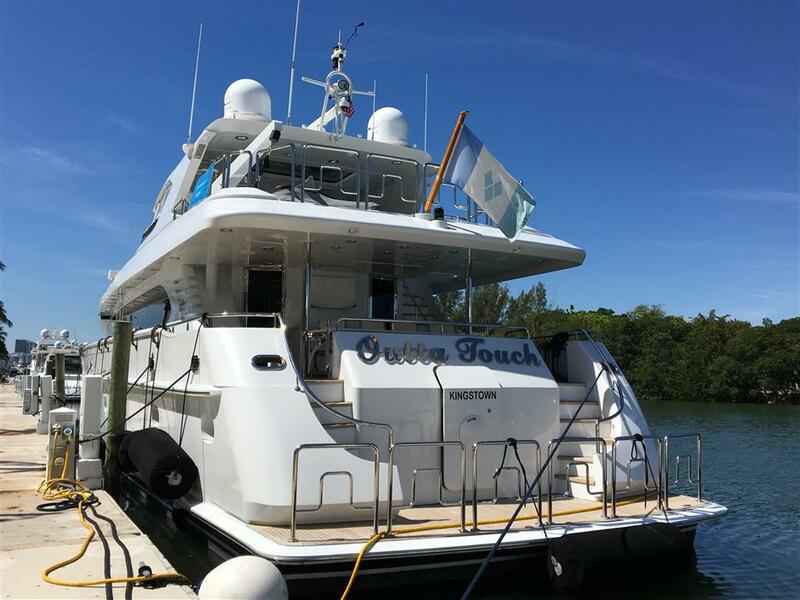 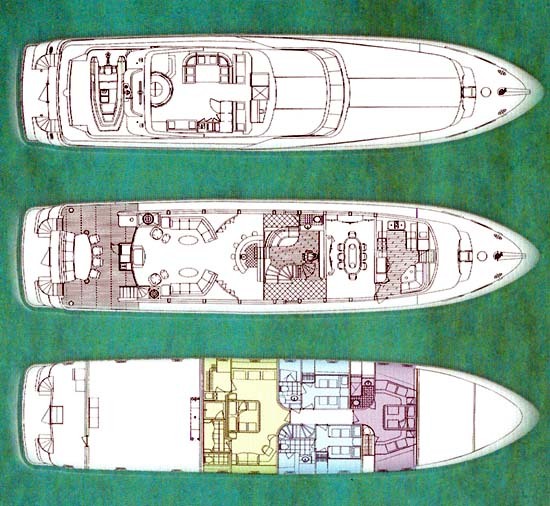 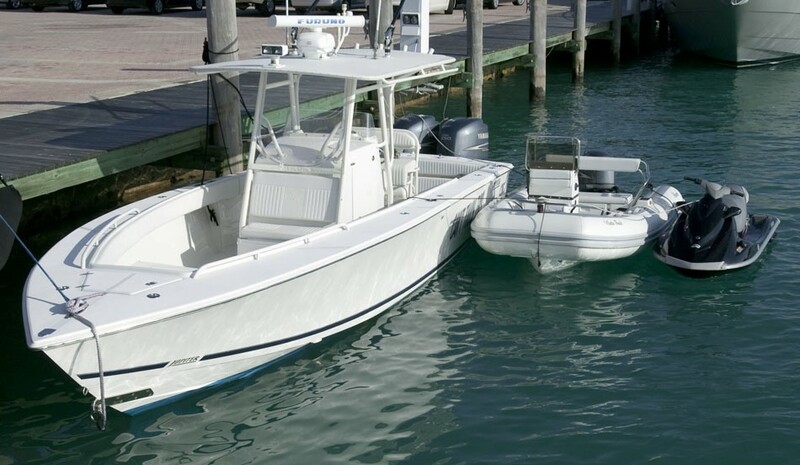 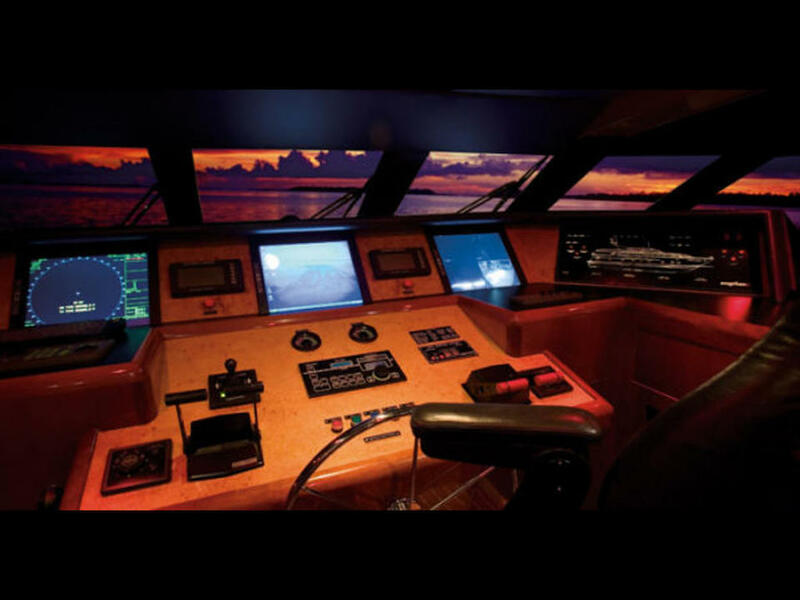 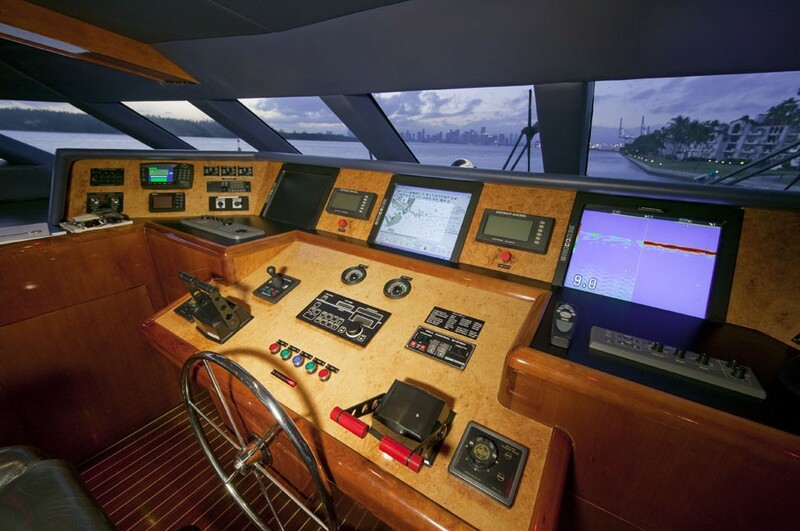 Outta Touch features a displacement hull and can cruise at 20 knots with a maximum speed of 22 knots thanks to her twin 1800 HP/1325 Kilowatts MTU 16V 2000 M90 diesel engines. 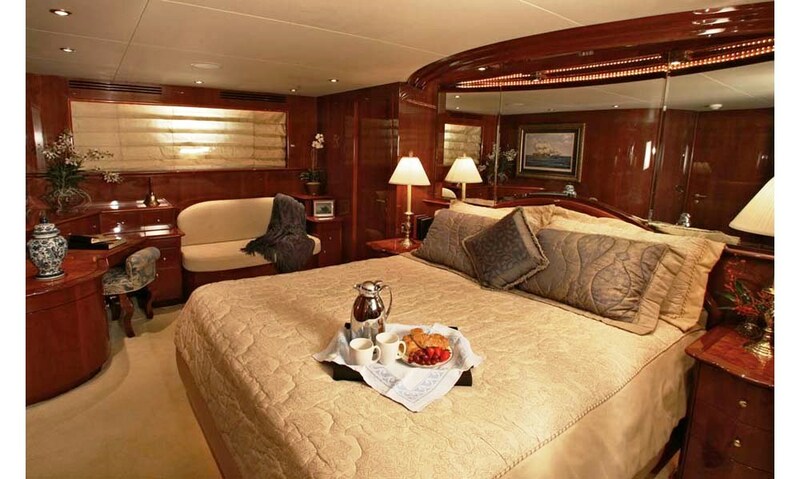 Accommodation is offered for a total of 8 guests overnight. 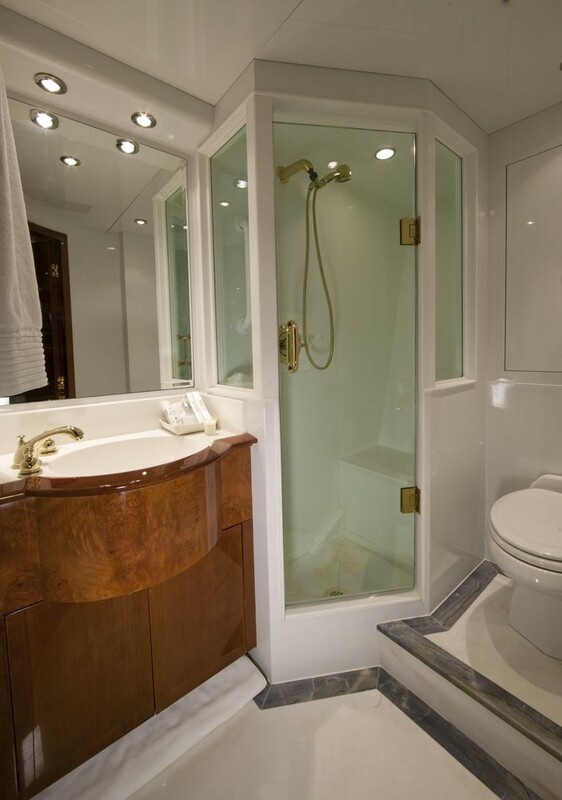 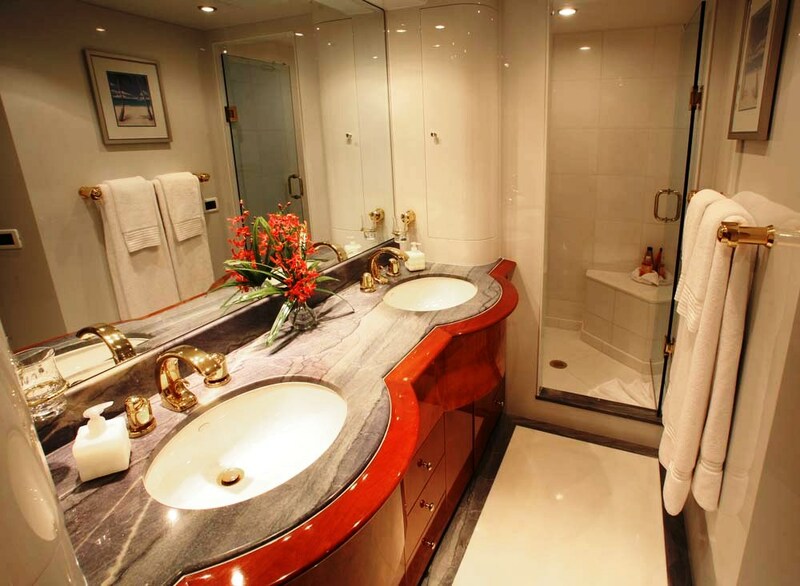 There are 4 cabins including a master cabin with its own writing desk and large ensuite bathroom, a VIP stateroom and two twin cabins with a polished burl wood interior. 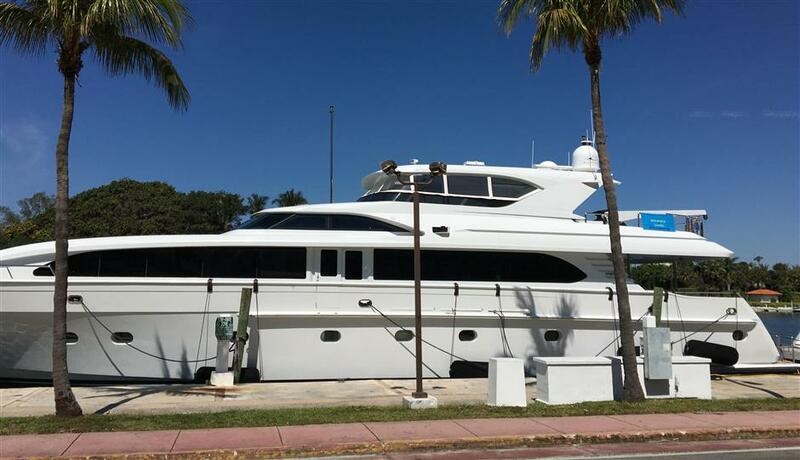 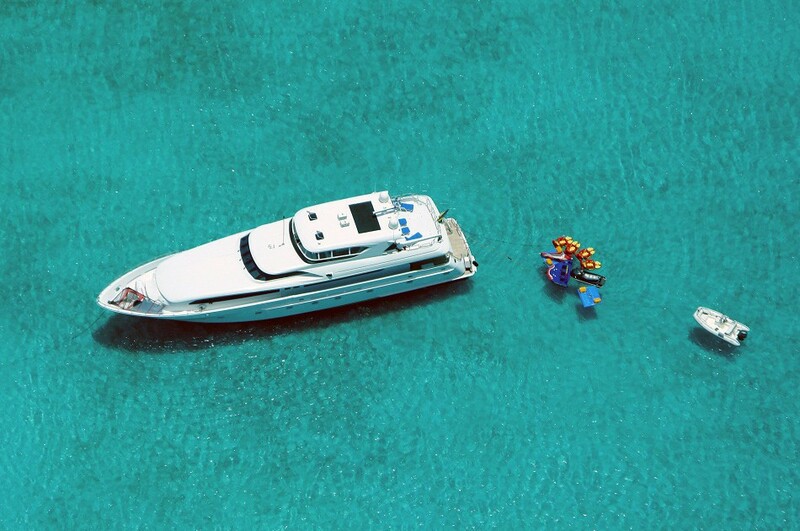 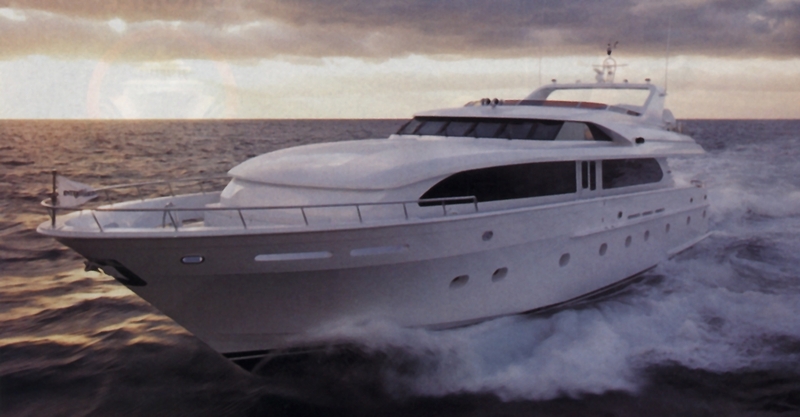 Please contact CharterWorld for a full list of extras and amenities available onboard motor yacht Outta Touch.